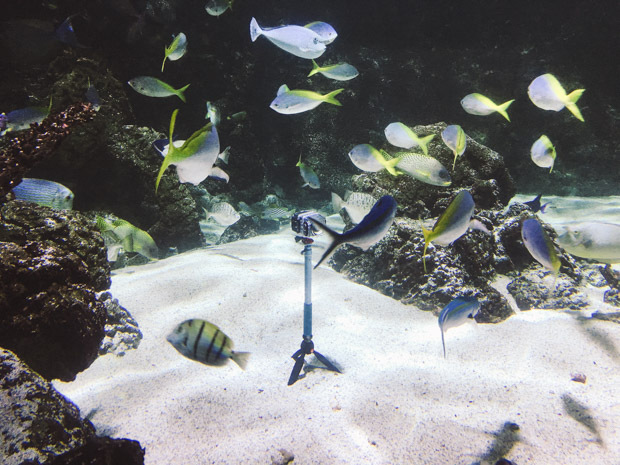 Groupe Coutant wants to showcase their ecosystems, There's a need for a tool to captivate attention during conferences and shows, and to offer an on-location experience to professionals and the general public. 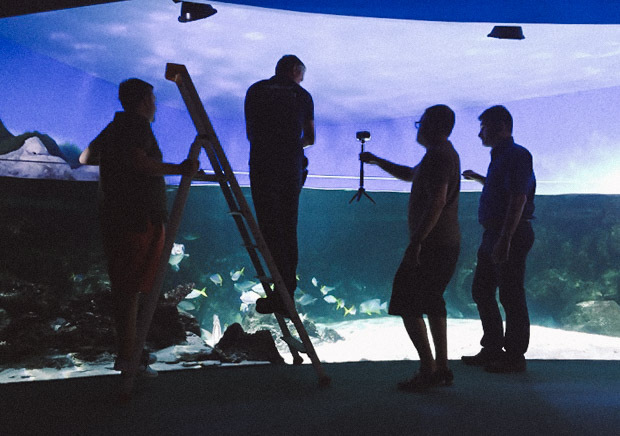 A 360° virtual reality tour of Groupe Coutant ecosystems, placing the viewer in visitors situations, and immerging him in the middle of the tanks. A system based on an affordable cardboard device and an app running on everyone's smartphone. An amazing experience to bring home. If you already have a Google Cardboard adapter, get the apps right now! We chose to shoot in 2D Spherical 360°, capturing two hemispheres of about 210°, to optimize the stitching effort in post. 360° spherical is an ideal choice, it can be viewed on any desktop screen, on Youtube, on any mobile with the added bonus of using the accelerometer for immersive viewing, and on any VR viewer, from Occulus Rift and HTC Vive, to a simple and inexpensive Google Cardboard foldable viewer. 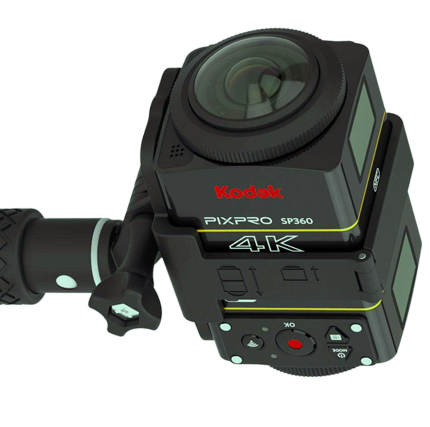 We tested a range of 2 points 360 shooters and our choice went for pairs of Kodak Pixpro 4K. As limited the final resolution can be when viewing the 360 sphere on mobile (2K), dealing with 2 x 4K in post allowed for a much better grading and noise reduction. We spent 3 days shooting on location, for an average of 2 production sequences a day. Video stitching is performed through Kolor Autopano Video Pro 2 and Autopano Giga. Post-production is executed using Premiere Pro, Noise Ninja and FilmConvert. 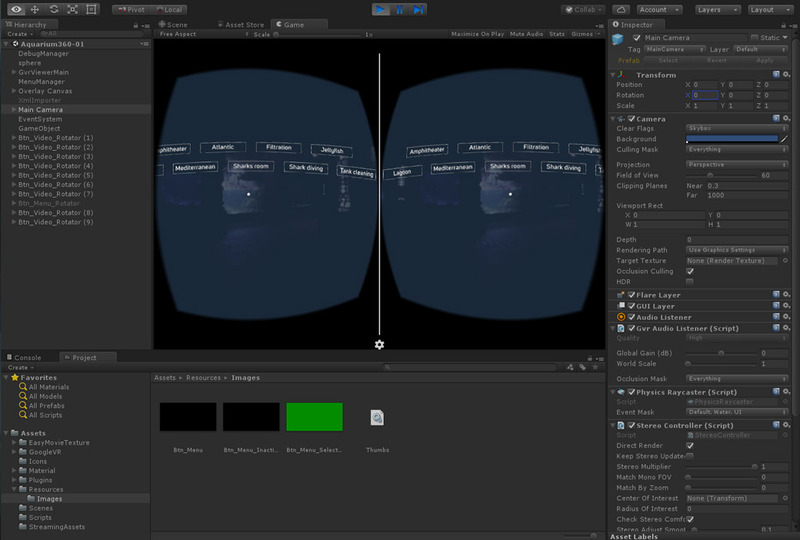 Authoring and navigation layers are achieved using UNITY. Two binaries are produced, one for Apple iOS devices and the other for Android phones. We settled for a Cardboard-kit viewer, for its B2B branding capabilities. It's also a very good and sturdy make that provides a nice feeling and a sensation of quality. It's good looking and durable. The VR Experience is crafted and published to procure an easy access for the masses and ensure that the distribution of both the apps and content is optimal. Groups and Video channels for the major platforms are created. Check the Android app on the Play Store (Free download).